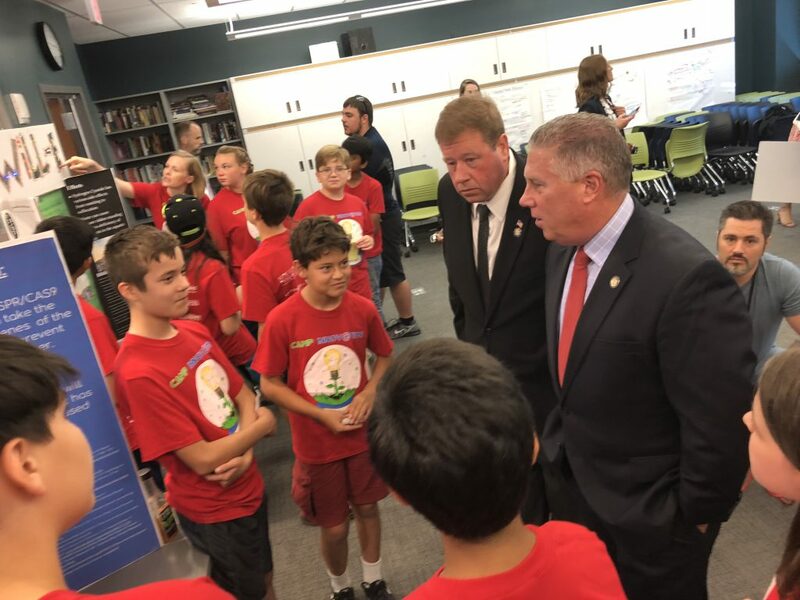 Assemblymembers John McDonald and Chris Tague speak with Camp Innov@tion students. On Friday, July 27, Camp Innov@tion received a STEM Talent Pipeline Grant from New York Health Works and the Pharmaceutical Research and Manufacturers of America (PhRMA). The grant allowed the camp to offer five full or partial camper scholarships and offer a reduced tuition rate to all campers. The grant was announced at Tech Valley High School. The STEM Talent Pipeline Grants are awarded to organizations and causes supporting STEM education initiatives and preparing the next generation STEM workforce. Camp Innov@tion is a week-long experience for middle school students, allowing them to explore real-world problems faced by STEM industries. Through research, collaboration, and project-based learning, campers develop solutions to a selected issue and present their solution at the conclusion of the week. Multiple guest speakers are also part of the camp – this year’s biomedical week included speakers from Praxis Biotech, University at Albany, Sunnyview Rehab, and a tour of SUNY Poly’s College of Nanoscale Science and Engineering and Albany Medical Center. 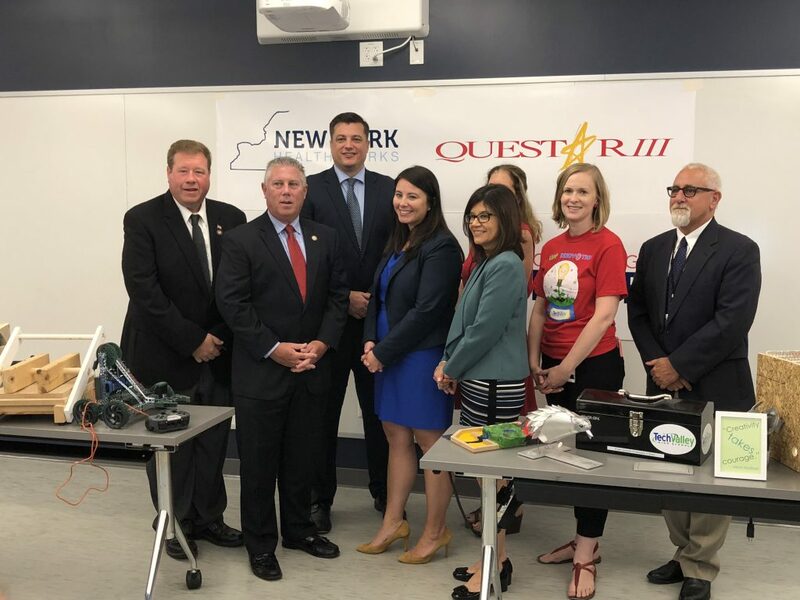 Assemblymembers Tague, McDonald and Ashby, PHrMA’s Laura Perloff, Questar III DS Dr. Gladys I. Cruz, TVHS Outreach Coordinator Sarah Fiess, and Hoosic Falls CSD Superintendent Dr. Ken Facin. 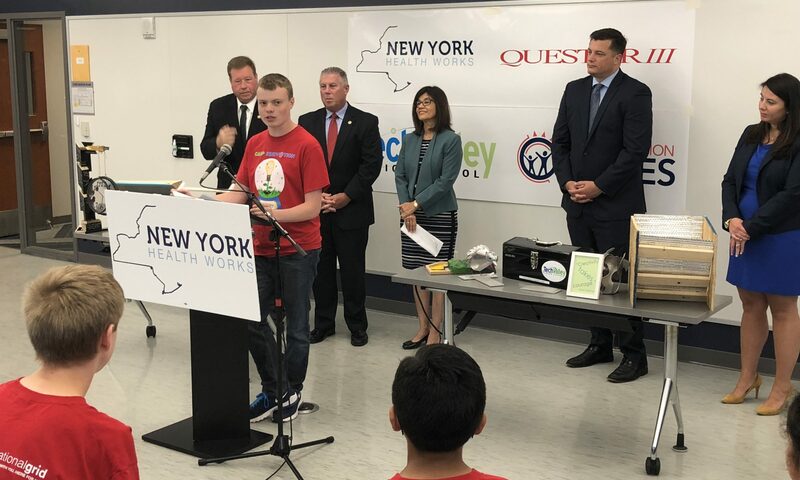 Assemblymembers John McDonald, Jake Ashby, and Chris Tague were also in attendance, along with PhRMA Senior Director of Advocacy and Strategic Alliances Laura Perloff. All four guests praised the camp and the students for their work, noting it is encouraging to see young people engaged in learning over summer break. McDonald spoke of the impact the campers will have on the future, saying STEM education in middle school and high school paves the way for continued advances in medicine and technology. Following the grant announcement, the legislators and representatives from PhRMA met with campers to discuss their projects and research.